The Beauty of Life: Debuting a New Haircolor Just in Time for Fall! Debuting a New Haircolor Just in Time for Fall! Would you believe that before this past weekend, I hadn't dyed my hair in FIVE MONTHS? I know, I know, it's sacrilege. But now that fall is upon us, I figured it was time to change it up a bit! 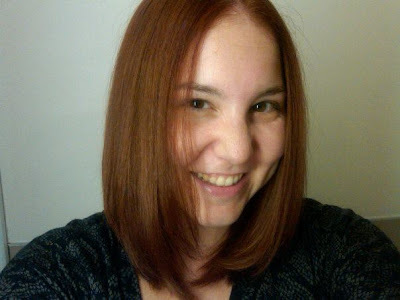 I still have red tresses -- because, let's face it, I'm just not ready to give them up! -- but I went a little darker this time, choosing a shade in between Jessica Chastain and Christina Hendricks. What I love about this color (done by the fabulous Jan-Marie Arteca, as always), is its versatility. As you can see in the photo above, it looks almost brunette in some lights. 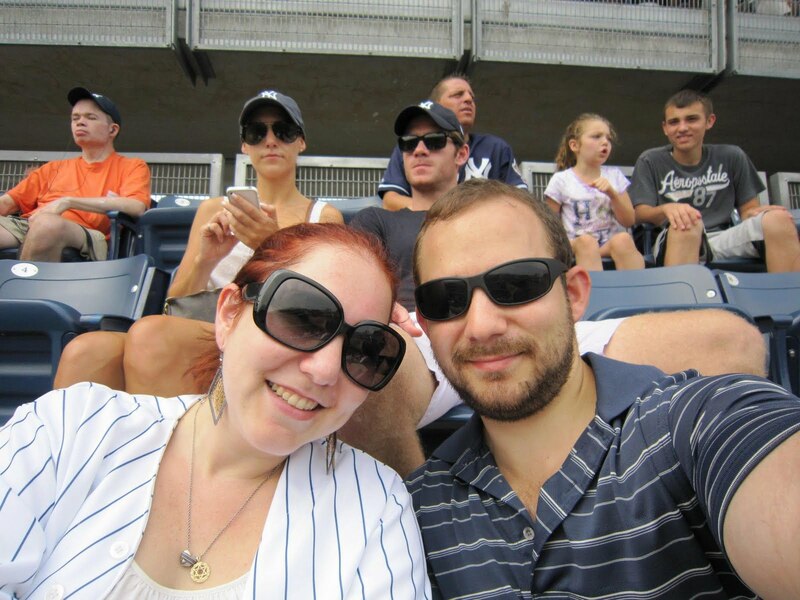 But in the photo below (taken at Yankee Stadium this past weekend with my brother), it's still super bright red in the sunlight! Having fun at Yankee Stadium with my new red tresses! I'm totally loving my refreshed color and am so happy with the results. I say being a redhead is the way to have the most fun!